Too many or too few? The housing supply debate rages on. Numerous factors have been blamed on Australia’s so-called affordability crisis. Over the past decade or so, the experts have claimed the biggest culprit to be a critical housing shortage in the order of 228,000 homes less than what we need to house the population. Now though, new data suggests that many in the industry have got it wrong and that rather than close to a quarter of a million homes less than what we need, we actually have around 341,000 excess properties creating a major oversupply. In a recent Domain.com article, Chris Zappone suggests that such vast discrepancies as those surrounding the undersupply/oversupply debate in the real estate industry simply highlights how tainted property price data and statistics in Australia really are. “Whether the new figures are accurate will only become clear in time, as house prices either level off because real estate is scarce, or prices fall and attract more scrutiny about the fundamentals of the market,” says Zapppone. He says that while all of the research companies currently releasing statistical information would like to claim that theirs is the most accurate and concise, there is actually no clear industry authority within the property sector – either here or overseas. “In Australia, Residex’s repeat sales index goes back to 1991, essentially just before the two-decade run-up in house prices began,” says Zappone. Are we betting n the wrong horse? Zappone uses this argument to suggest that investors who back real estate as a “sure thing” could be betting on the wrong horse, due to a lack of understanding when it comes to the various economic fundamentals that underpin property markets. He cites a warning from Reserve Bank governor Glenn Stevens on breakfast TV in 2010, who cautioned that it was a mistake to ”assume a riskless, easy, and guaranteed way to prosperity is just to leverage property”. But he also notes that there has been very little commentary with regard to what the alternatives might be for Australian investors if not housing. I agree that property is not a guaranteed cash cow. 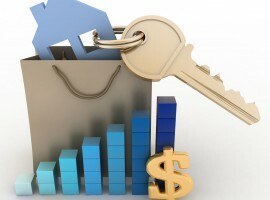 I know most property investors don’t get the returns they are looking for and many sell up. And I accept that careful property selection will be even more critical in the future as we are not likely to get over all market double digit growth again for some time. But in a recent article in the Australian Financial Review economist Christopher Joye compared the returns of the various investment options over a 30 year period. And then looked at the risks involved – the volatility. At the end of the day, everyone needs a roof over their heads. Everyone needs a home. And as long as our population continues to grow and our nation remains wealthy and able to afford property, the long term security of sound residential property investment is assured.